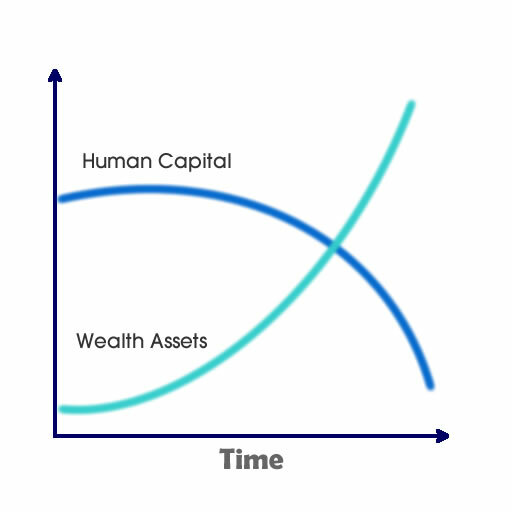 In my years of blogging about wealth, studying about wealth and interacting with people who wish to build greater wealth, I realize some investors jump straight into investing when they can gain better result optimizing and building better foundations. The effect of not having a good wealth foundation can be that while you did well investing, what you earn in investing is used to plug a serious financial mistake somewhere cause by you or someone close to you. Or that you become so focus on investing that you failed to build a solid career, which could funnel more capital to help you build greater wealth. Lastly, you become so worked up that you are losing money to inflation, forcing yourself to take up a wealth building method that is time consuming, creating more stress for yourself. This negative effect is fed back to your work and daily life. So this section is to straighten things up and bring you the wealth foundations. For those of you who are more savvy, take this as a revision to see if you already know this. I wasn’t born with a silver spoon. In fact, due to a lot of circumstance I stopped taking pocket money from my parents since 16 years old. I went to a local university and came out of university with a degree and only $6,000 and having to repay $16,000 in student loans that my parents helped me paid off. For the past 10 years, I worked as an engineer, not drawing more than $5,000 in monthly salary at any point in my career. In 5 years time, I believe I can reach Financial Independence, where I can afford to take the foot off the pedal and choose how I want to live the second part of my life. Conservatively, I believe I am very near it. Many have asked how did I build my wealth to enable me to be close to it. I believe many people can do it as well. What are you building wealth for? Have you asked that question yourself, or you are just doing it because that is the right thing to do? How do you know you are progressing well in building wealth? The 11 Stages of Wealth is a ladder that I learn from Anthony Robbins and further explain by Joshua Sheats from Radical Personal Finance. 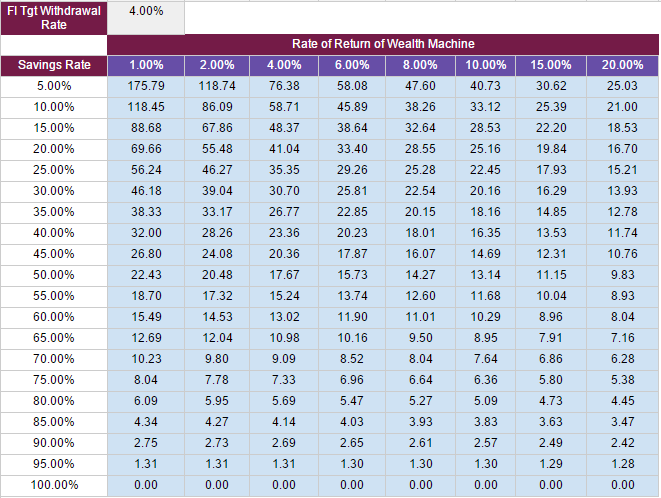 When you invest in a financial instrument such as stocks, unit trust, land banking, you do not have a wealth machine. What you are doing is manipulating financial instruments. Some people do it better, some do it worse. Most of us cannot do it consistently. 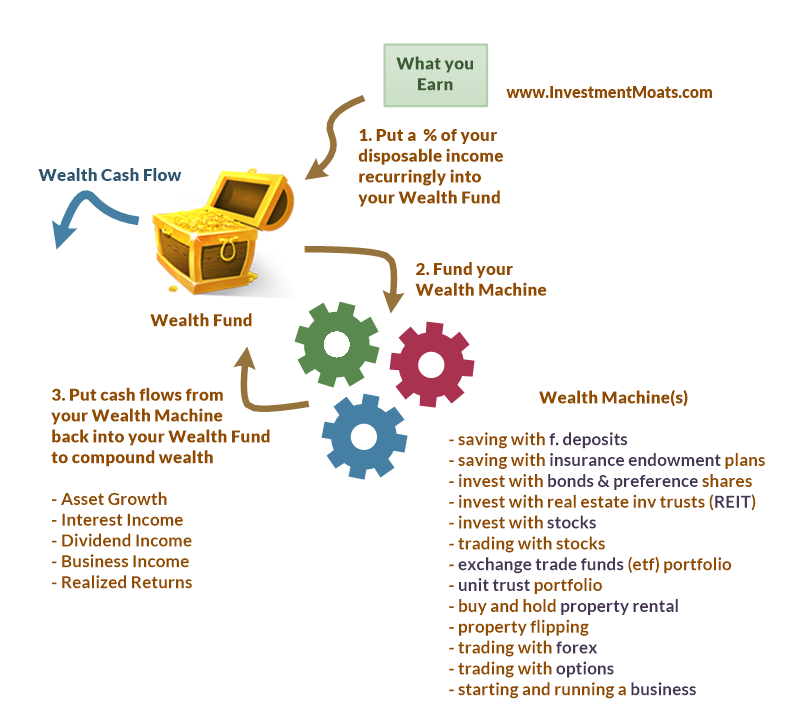 You have constructed a wealth machine only when you are able to build competency in investing or speculating using a financial instrument, executing so well that you can build wealth sustain-ably over time. 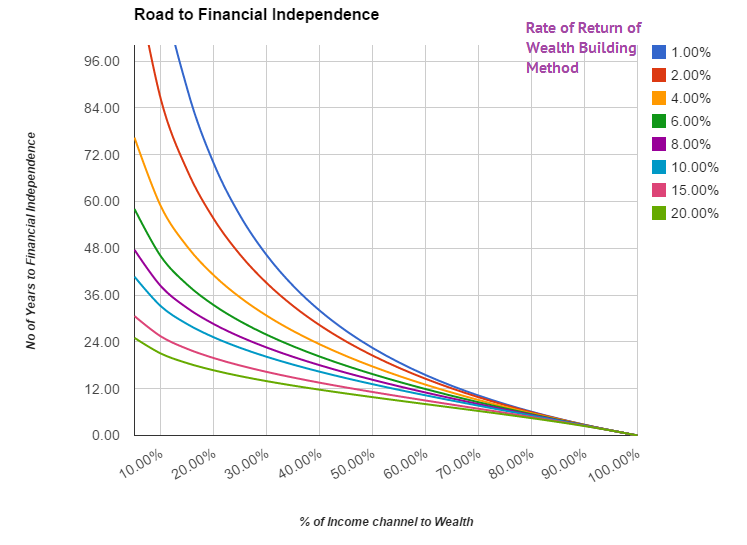 How much Wealth do I need to Accumulate to Achieve Financial Security, Financial Independence or Retirement? Now that you know the Formula to build wealth, and that you require Wealth Machine(s) to build sustainable wealth, how much do you need? I wrote my best lessons learnt from my 10 years journey for financial independence, and I put them out so that you, who aspire for financial independence and security can have a much easier road. In a lot of my articles, you will notice that I will mention savings rate, and spending rate and the need to cash flow well. 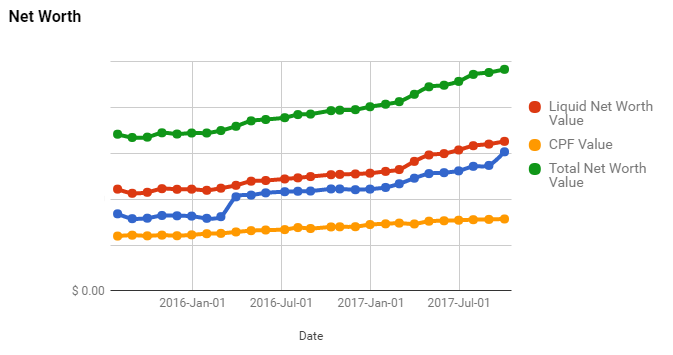 In this article, I will explain to you how to compute your savings rate, your spending rate and your personal free cash flow. I will show you what makes up these terms and how they relate to your every day income. Understand these terms allow you to better relate to the rest of my materials. How much can A Young Singaporean Adult Earn in the Next 10 Years? When I was starting out, I don’t have any mentors that tell me how much I will make in the future. So I stupidly assume my monthly salary will be stagnant at $2,400/mth. I cannot tell you how much you will earn in your lifetime, but we can come up with rough amounts how much you will earn, how much you will take home. More importantly, when you look at the amount of money, are you equipped to manage it? 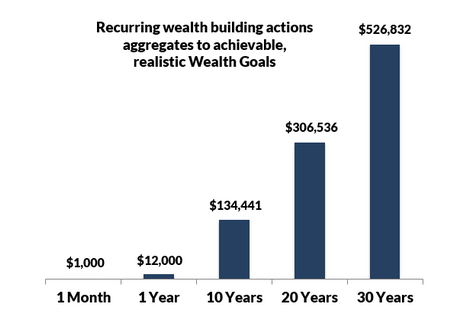 How much could you put away in 10 years to building wealth? 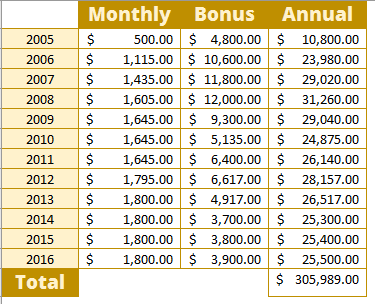 So you know roughly how much you can earn. Now how much could you save or put away to build wealth? It is a good question because firstly you need to ask yourself what are you saving for and how much you want what you are looking for. My advice is to save an absolute amount of your annual income. Deconstruct how much you need into monthly amount that you can put into building wealth. The great thing is that if you consistently put away your money, you know you will reach a sum that you find satisfactory. You have read my wealthy formula. Here is how I go about doing it. I discussed some of the psychological tricks I played on myself to keep me on the path. I shared how I think about saving versus spending. I also shared how I decide to step down the amount I put into my wealth machines, as my salary get bigger. Doing this actually gave me more room for spending. Pay yourself First <- What does this mean? Instead of only channeling what you have left over after you spend to wealth building, shift the way you looking at your income by prioritizing wealth building over spending. Learn how to automate channeling to wealth building here. We explained that, to build wealth you need to have a savings rate, or channeling part of your disposable income to wealth building. The more you fund your wealth machine, the faster it rolls. One important aspect of the Wealthy Formula is to optimize your expenses. Here is my definitive guide. 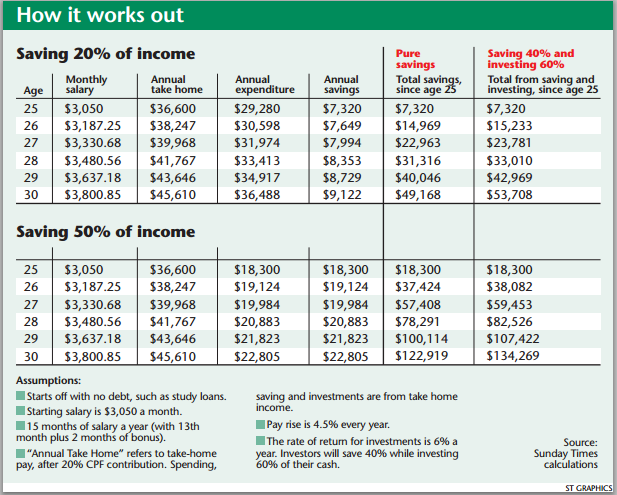 Could you increase your saving rate or decrease your spending rate easily? To help your family or your couple see where you are, you need to create a personal cash flow statement. Your personal cash flow statement gives you a break down whether you are managing the money going in and out of your family well. It also let us know whether you are worth much. 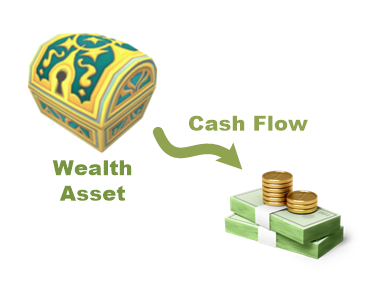 A positive net cash flow means wealth is building up. 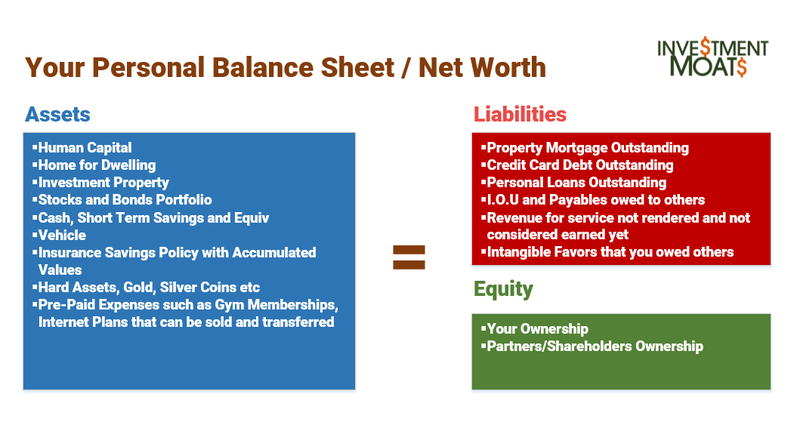 The second important document that will help us assess your family and your financial status is the personal net worth statement. It lists your assets, liabilities and your net worth. 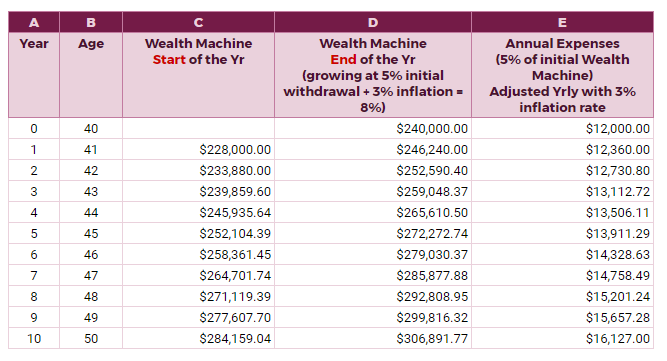 If your next year’s expense is $20,000/yr, and your wealth machine(s) generate cash flow at 5%/yr, you will need $20,000/0.05 = $400,000 in your wealth fund. So little? How did I derive this amount, and what is your wealth fund and wealth machines? Read on. You do not need to budget or track your expenses. Instead, take 1 hour at the start of the month to compute your net worth. Then plot them out. It lets others and yourself know your money journey. If you have a money problem, then we turn to review your expenses. This is much easier to do. When your Wealth Fund is small, it makes more sense to focus on channeling more to Building Wealth, but when your Wealth Fund is substantial, it is important to learn to build wealth wisely. 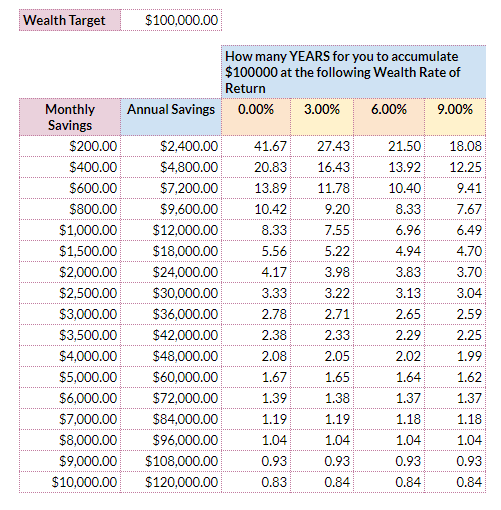 In another article, I explain that at the early stage of your wealth building, if you wish to accumulate $100,000, how long it takes depends less on your annual rate of return, be it 0%/yr, 3%/yr, 6%/yr or 9%/yr. What matters more is prudently channeling money to building wealth instead of spending it. This means… don’t rush to be invested, set aside money and build up your wealth building competency. You can dream about how much money you will eventually build up but that may set you up for a lofty goal that is unreachable. A better way is to be a pessimistic yet rational wealth builder and map out how much wealth you can conservatively build up. What you have build up is important but if you focus on how much cash flow the wealth that you build up can generate for you, it frames the wealth that you build up in a better light, and makes you want to work towards it. Knowing that Building up $20,000 can provide a recurring cash flow to pay your hand phone bills for the future, might lit the insight that if you collect many of these $20,000, you can offset much of your monthly necessities, leading eventually to financial security. This is a set of resources that you need to be familiar with. We think that building wealth is about acquiring competency, putting in effort and harvesting the gains. We all want the X% returns over time to build from $0 to $1 million. That’s right, how you feel and how you behave. As human being we are not robots. We often do not do the right things because we feel we get afraid. Our minds play trick on us. We get influenced by our surroundings and people. This section delves into the motivation to build wealth, but also the psychological aspects of wealth building that makes us lose money, or stop us from reaching our full potential. Many view their money as 2 things: Spending and Savings. And they view savings as one big bucket. Your every $ is meant to achieve a particular jobs, and looking at them as building up towards the various goals will frame your mind better in when you need the money, how much you have other than this single goal that you are currently focusing on. 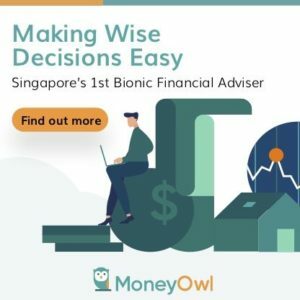 Saving in the Future instead of Saving Now: Which is better? Here is a saving method by academics that may work for many people. Optimize 90% of what you take home today to spend well. Then save a large percentage of your increment. 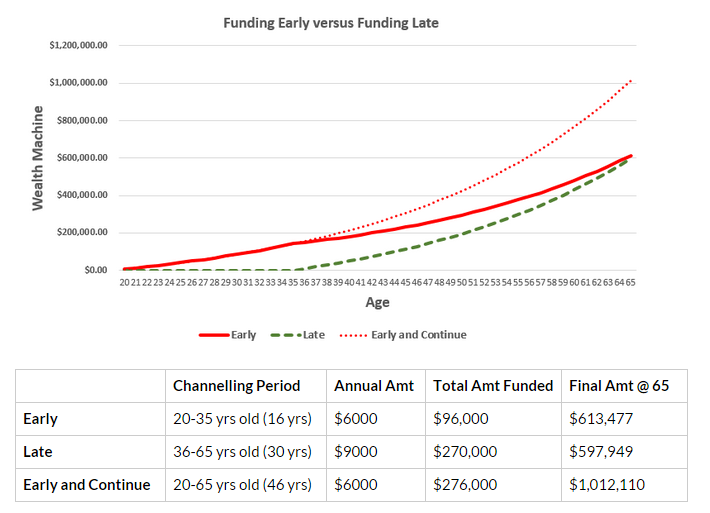 How easy is it for a normal university graduate or a poly graduate to build up $100,000 in wealth by the time you are 30 years old. I was able to do that and here are my opinion. Till Today, many people still do not know WHAT is an emergency fund and why you need to split your money and visualize how much emergency fund you have. 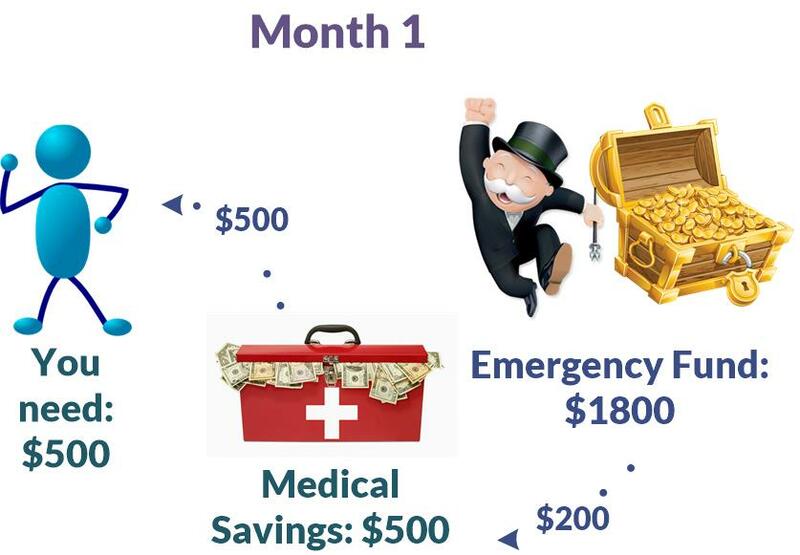 This guide tells you everything about emergency fund. What if you can get 10 years of income in one day? You do not know how important to know how to allocate money until your boss gives you 10 years of your income in 1 day and you have to make it last and grow it. How much of this substantial amount of money would you put away? Do you think you need to be responsible about it? We always think that if we spend more, it will bring up more stuff, more joy. 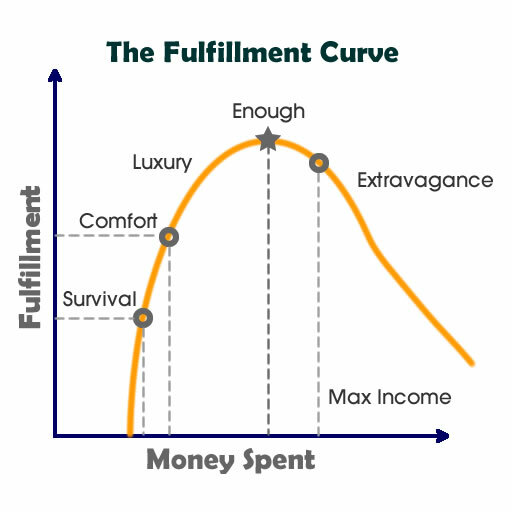 Everyone has a fulfillment gauge where once you reach a certain point, it does not bring you additional happiness. So where is your tipping point on the gauge? Morgan Housel wrote a piece on what he learn about money, through his numerous readings and experience. I took 1 day to sit down and meditate through this and I realize he distill what we need to know about money and finance. As a beginner, whichever you do, you should do OK, so worry less. Instead, focus on increasing the GAP, or the free cash flow that you get. 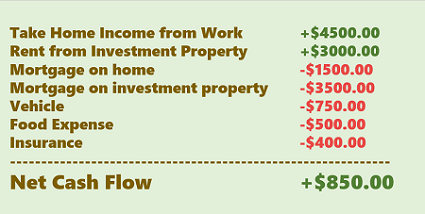 With a wider free cash flow, you have more options what you can do. 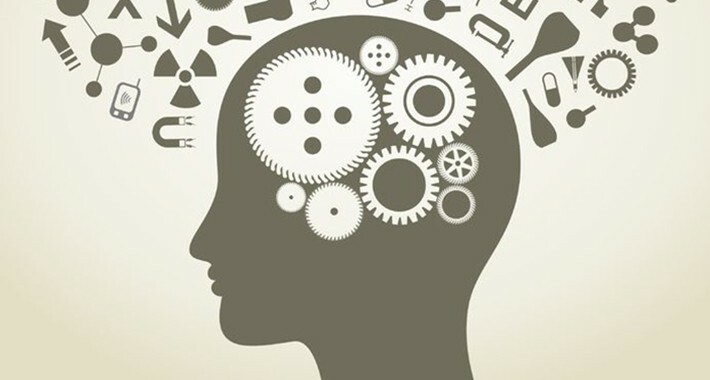 I deliberately put this article at the most bottom because there are some cash flow management stuff that you can only do, if you have a understanding about the thought process behind some of the basic stuff. For example, could you have a stock portfolio for an emergency fund? Technically you could, but for a lot of people, this could be a rather risky move. 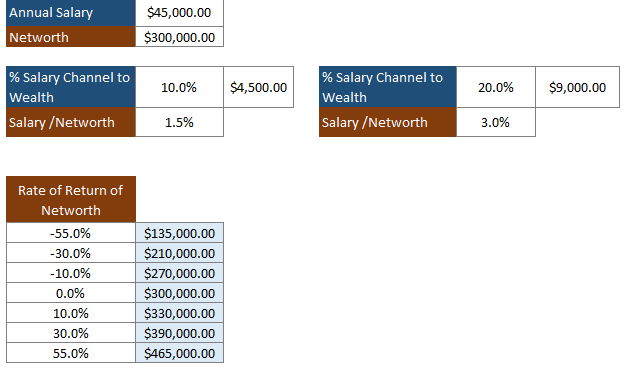 In this article, I share how the director of behavioral research of Betterment and director of institutional funds at Ritholtz Wealth Management do their advanced cash flow. To me, it is insightful. And I think all of us can learn about it. 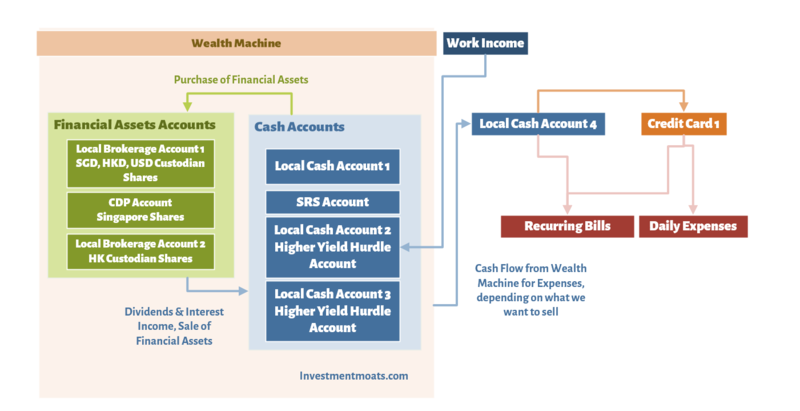 I would also share how I visualize my personal cash flow in the image above.